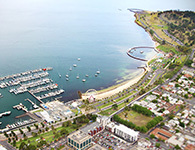 North Geelong Secondary College is a, co-educational Year 7-12 campus located in the northern suburbs of the City of Greater Geelong. The College provides high quality education in a safe, supportive and challenging learning environment that enables all students to do their personal best. Students develop knowledge, skills, capabilities and personal characteristics that provide the foundation to optimise opportunities in academic, vocational, personal, physical and social aspects of their lives. We value the cultural diversity of our student population and believe that all students, regardless of their abilities, needs and backgrounds, should be actively supported in achieving their personal best. The college promotes the values of Respect, Excellence, Achievement and Diversity and it upholds the belief that every student can succeed. A positive and responsible approach towards education fosters exemplary life at North Geelong Secondary College. A highly disciplined and collaborative work ethic among staff, students and the wider community, supports each student’s quest for academic success and solid career pathways. A structured orientation program, including additional after school tutorials in English, assists our international students to adapt to their new educational environment and life in Australia. Our Director of International Students Program closely monitors the academic progress and welfare of the international students and maintains regular contact with parents and guardians.